We would definitely love to hear from your our dear esteemed reader. 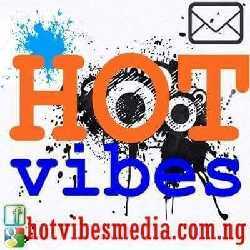 HotVibes Media is one of the best Nigerian information resource website that was founded in April 2016. Apart from being an information resource website,our blog readers can also check out some of HotVibes Media's other entertaining and interesting categories such as "How To's,Top 10's,Celebrities Section,Countdowns & Educative Articles". This section contain some of the basic information that will be essential for our readers,this category covers different essential Nigerian information. This section contain quick facts and information about your favorite celebrities. This section is one of the most visited and favorite section of this blog,readers can read and learn the latest tips on how to tackle some of their daily challenges in Nigeria. In this section,you can read and enjoy the top 10's of the best of everything in Nigeria. Check out the countdown section to read about the countdown of the best of everything that is Nigerian or African. This category contains different educative and well written articles by our publishers for our daily visitors. Kindly send an email to hottvibesmedia@gmail.com,we usually respond back within 24 hours.